Well, hey! That date just snuck up on us! While we’re here, next Saturday and Sunday, June 18th and 19th, I’ll be at A2CAF at the Ann Arbor District Library. 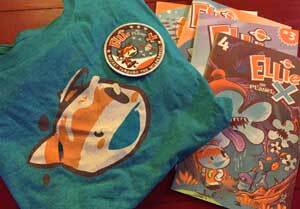 I’ll have some very cool stuff for sale, including Ellie comic books, mission patches, aaaaand T-SHIRTS! This is the only way you can get them for now, so make sure you come by! Plus, who’s ready to win some Pop-Post All-Star Swag? 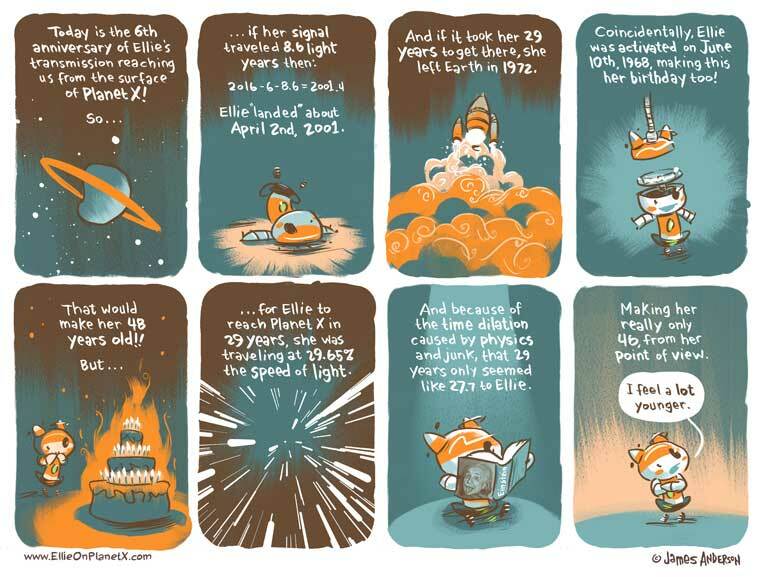 Ellie’s one of several comics featured at Pop-Post.com. 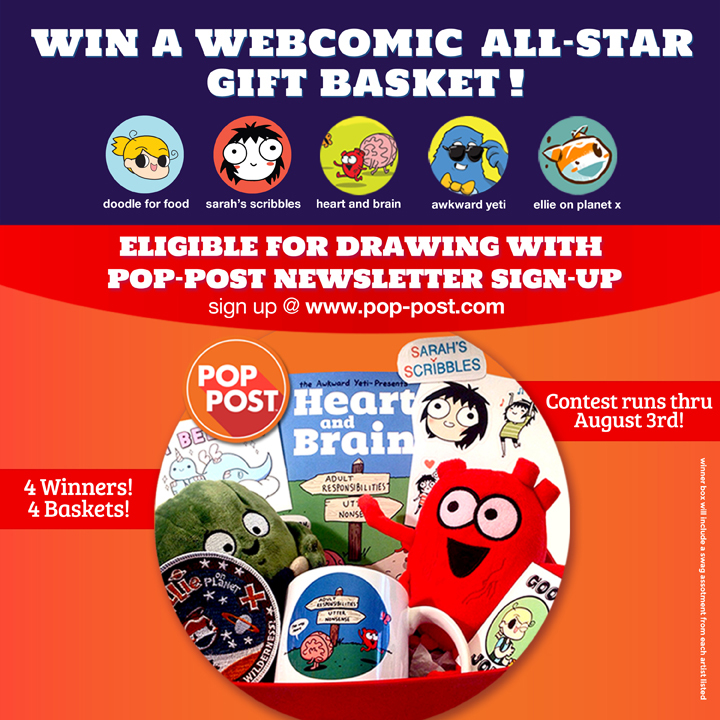 Sign up for the Pop-Post Newsletter on the website and enter to win a Pop-Post Gift Basket, featuring amazing webcomic superstar artists featured weekly on the comics page. Thanks, Robert! And Ellie will thank you in 8.6 years when she gets this message.